DURACORNUM (Latin for “Durable Hoof”) is unlike any topical hoof treatment available. 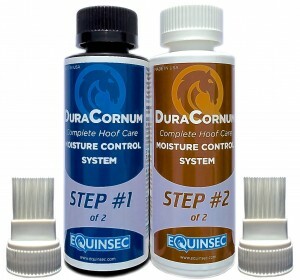 Developed to provide hooves with total wet/dry-cycle protection, DURACORNUM delivers the professional performance needed to combat hoof softening, support proper internal moisture balance, repel foreign contamination and strengthen hooves — in all seasons and all weather conditions. 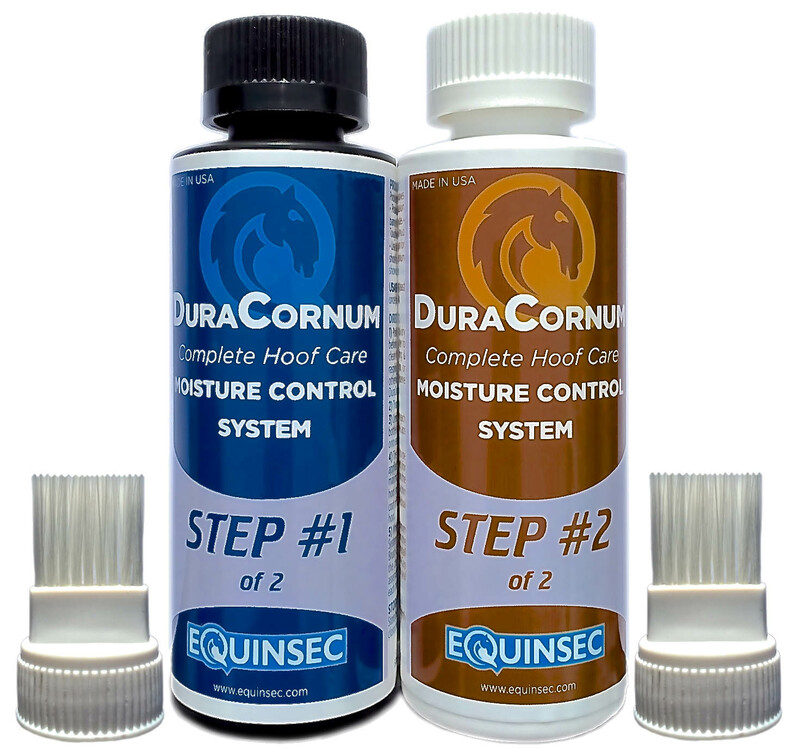 Use DURACORNUM to beat the heat this summer and maintain balanced natural internal moisture levels to fight dry, cracked, flaky, brittle hooves!